Overview - Our Food. Our Future. 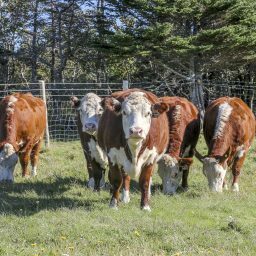 The Department of Fisheries and Land Resources Agriculture Production and Research Division, together with Agriculture and Agri-Food Canada, Grenfell Campus – Memorial University, Food First NL and the Newfoundland and Labrador Federation of Agriculture will hold its fourth biennial Agriculture Research Symposium on November 20-22, 2018 in Corner Brook, Newfoundland and Labrador. Our Food. Our Future. – Growing Opportunities in Agriculture through Innovation and Collaboration will facilitate discussions across a continuum of disciplines relating to agriculture, all of which contribute to building a sustainable, robust food system that will enhance food security in Newfoundland and Labrador. Taste some of the finest locally produced foods and beverages produced right here in Newfoundland and Labrador. This banquet event will highlight top local chefs who use local ingredients and products in their dishes.